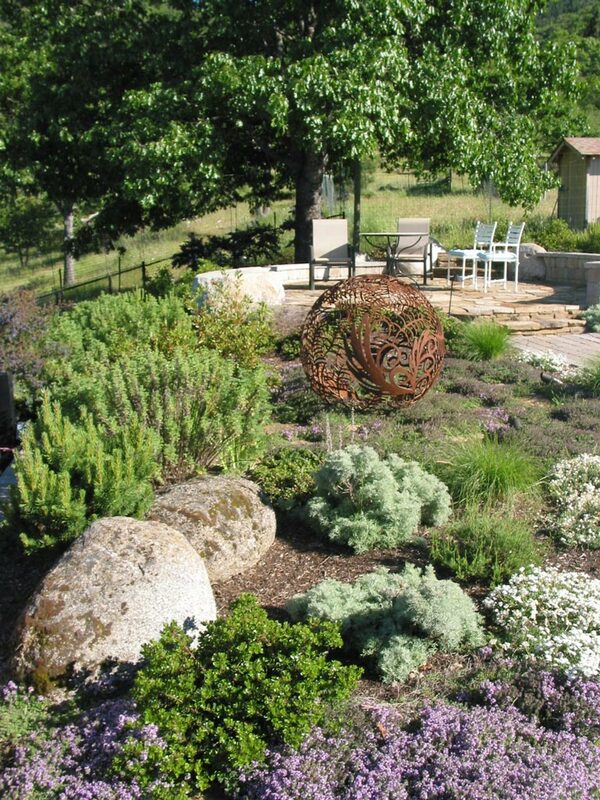 A rural home in the Ashland hills is the setting for this back yard landscape. The area was a weedy, undeveloped space when the project was started. The project boundaries are the large native oak tree, the fenced garden area, the large shop building, the upper terrace off the home, and the home itself. The program initially called for a hot tub, a sitting/study area, water-wise plantings, and an enclosure for the two small dogs of the household. 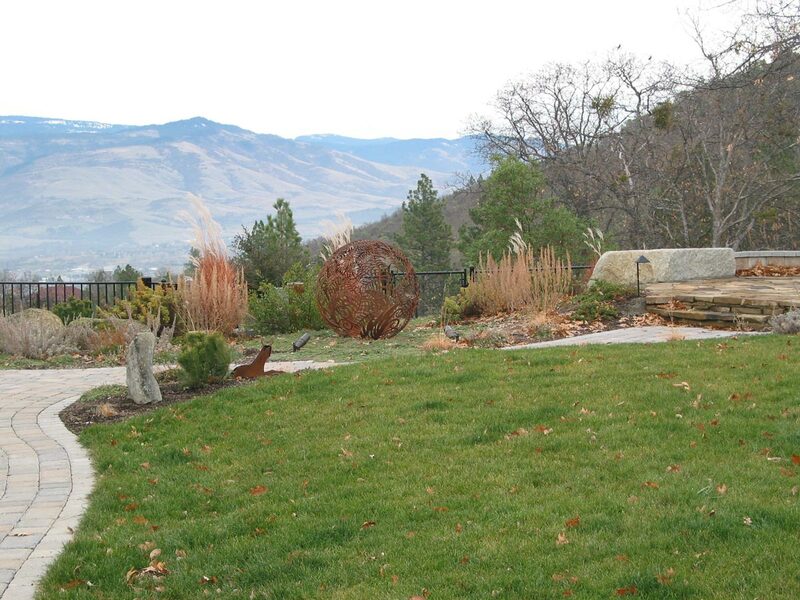 As we progressed through the landscape programming, it became apparent a putting green for the golf enthusiast and a small lawn area for the two dogs were important additions to the program. 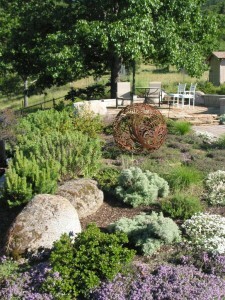 As the design progressed even further, an interest in including a garden sculpture was added and a space in the plan was left for the sculpture until the right piece was found. Water consciousness and a natural look to blend with the surrounding natural landscape were the two main focuses of the plant palette. Favorite colors and seasonal change through not only flowers but foliage were also included as the plants were considered. Now this area is enjoyed, rather than ignored, by the whole family.